Klim motorcycle gear is a high quality brand made in the USA, specializing in snowmobile and off-road adventure gear. 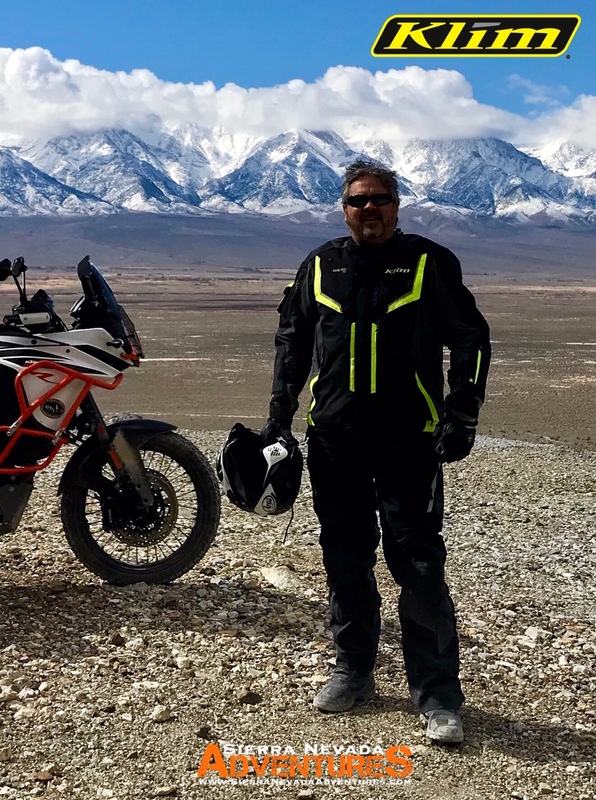 I’ve had the opportunity to test Klim gear in the most harsh conditions from rain, wind, hail and snow in the Sierra Nevada to Death Valley. I’m pleased to report Klim gear has performed great in the most extreme conditions. Klim Badlands Pro jacket and pants provide high quality, durable, and protective armor including a waterproof and breathable Gore-Tex shell that is designed for the most extreme conditions for true adventure!